Cessnock Kids is a privately owned and family run service. 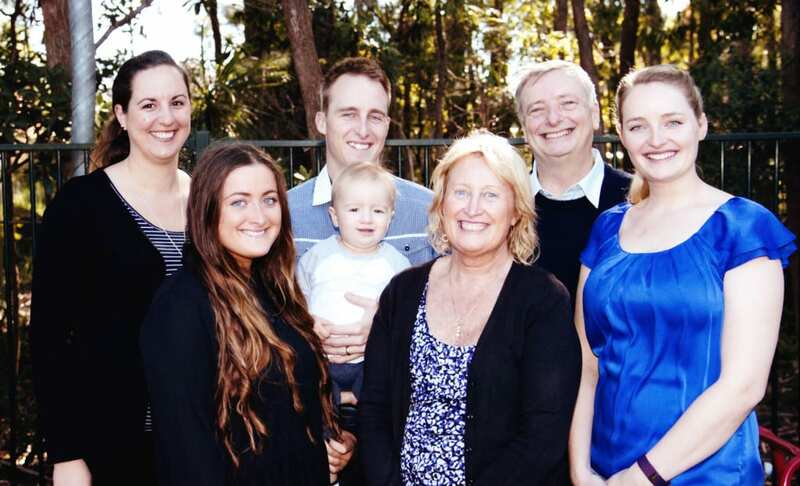 The Adneys have over 40 years experience in the early childhood education and care sector. Erin, Laurence, Chris, Chantal, Melissa and Michelle all enjoy playing an active role in different areas of the service. Extensive research has shown that the environment of a child’s earliest years has effects that last a lifetime. The first five years in child’s life are crucial to their development. The experiences children have in their formative years can set children up for a positive primary school experience. Eventually these experiences may ultimately shape them into the adults that they will become. Our goal for Cessnock Kids is to be a service that provides the highest quality early childhood education and care for young children in our local community. We seek to develop a strong sense of belonging in children, allowing them to enjoy play based experiences encouraging a lifelong love of learning. To meet this goal, we believe that we must create meaningful relationships with every child in a safe, nurturing and welcoming environment empowering them to reach their full potential. We look forward to partnering with families to achieve this goal! To provide the highest quality early childhood education and care service for young children in our community that instills a lifelong love of learning. At Cessnock Kids we aim to create a warm and welcoming environment for all families, children, team members and the community as a whole. At Cessnock Kids children’s holistic development and self-worth will be fostered in a safe, positive, nurturing, stimulating and interactive learning environment where children will be provided with meaningful experiences and opportunities to explore their interests, expand their knowledge, develop life skills whilst having their needs and the needs of their families met. At Cessnock Kids, we strongly value the importance of play and hands-on experiences. We believe that a balance between developmentally appropriate planned experiences (intentional teaching) and emergent child initiated activities are essential to children’s learning. We also recognise the spontaneous unplanned experiences in which families and children, in particular bring to the curriculum. Our educators implement a range of teaching techniques and methods within the educational program to ensure all children’s interests, strengths and abilities are valued and implemented in our programing cycle. Our programs are designed to promote the “belonging, being and becoming” of the individual child, which is also outlined in the EYLF. At Cessnock Kids we acknowledge the importance of embracing each family’s expectations and circumstances by respecting their views regardless of gender, race, cultural background, religious beliefs and intellectual or physical ability. Families are, and always will be their child’s first teacher and primary influence over their child. We believe that an effective partnership is built on mutual trust and respect which is essential in providing a high quality service. We aim to build relationships and form partnerships with families to help achieve individual goals for their children. At Cessnock Kids children, families, educators, staff members, management and the community are all valued as key stakeholders in our service. In valuing the stakeholders within the service, our management team will collaborate with all stakeholders on all matters that directly affect them or their child. Additionally, all stakeholders will continually be encouraged to be actively engaged in ongoing review and modification to our service delivery. Child centered emergent curriculum inclusive of art, music, language, literacy, self-help, maths, sustainability, science, sports and so much more! Families can contact the Family Assistance Office (FAO) or visit Centrelink to obtain their ‘Customer Reference Number’ (CRN), if they wish to receive reduced child care fees at Cessnock Kids. Your child is cared for in a positive environmentThe NQS currently contains 18 standards with two or three standards in each quality area. These standards are high-level outcome statements. Under each standard sit elements that describe the outcomes that contribute to the standard being achieved. There are 58 elements in total. Research shows quality education and care early in life leads to better health, education and employment outcomes later in life. The early years are critical for establishing self-esteem, resilience, healthy growth and capacity to learn. That’s why the National Quality Framework (NQF) was introduced – to give every child the best start to life and learning. The NQF introduced legal requirements and a new quality standard to improve education and care across long day care, family day care, preschool/kindergarten, and outside school hours care services. The Early Years Learning Framework (EYLF) is an early childhood curriculum framework, which guides early childhood educators in developing quality, early childhood education programs. Belonging, Being and Becoming – The Early Years Learning Framework describes the principles, practices and outcomes that support and enhance young children’s learning from birth to five years of age, as well as their transition to school. A Families’ Guide to the Early Years Learning Framework has been developed and is available on the Department of Education and Training website. You can also download a copy of the framework.